Web browsers use the http protocol and modern ones can also use websockets. 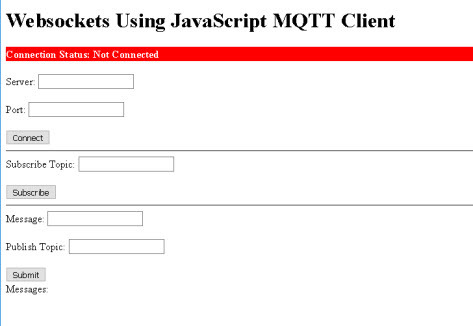 To publish and subscribe to an MQTT broker with a browser you will need to use a JavaSript MQTT over websockets client. In this tutorial I will take you through a example script that publishes messages and subscribes to topics using MQTT and websockets. Simply used by inserting the following code in your web page. Details of both methods including download links are here. We will now create a simple script that connects to a broker and publishes a message. Note: scripts used in this tutorial can be downloaded here. To run the script copy it into a file called websocks.htm and double click to run it. The MQTTconnect sets up the connection and importantly sets the onsuccess callback. The onConnect function is called when the connection is successful. Note: you can assign an on fail function as well but I haven’t done so to keep it short. You can only subscribe and publish when the connection is established which is why many scripts will subscribe and publish in the onConnect function. I have commented out the subscribe call in the above script. To view messages you will need to enable console logging on Firefox click tools>web developer>web console. Don’t use document.write anywhere in the script! Always use console.log to see messages. Now we create the two functions. Now we uncomment the subscribe call in the onConnect function to complete the changes.. Which we can use for broker testing. If your broker supports websockets over SSL then you can make a simple change in the connect function (useSSL:true) to use it. If you use your own CA certificates the browser may give an untrusted connection dialogue which you can safely override. Important Note: Your browser must have the CA certificate installed for this to work. This is a Mosquitto dashboard that dipslays data generating by an Mosquitto broker and published on teh $SYS topic. HiveMQ using the Javacript client. You are amazing! Script worked perfectly once I changed var host=”localhost” to var host = “127.0.0.1”. That bug cost me one hour to find (not your fault) as I thought the error was a Cross-Origen Reference Sharing (CORS) problem with Chrome browser. Thanks, I have learned so much from your tutorials and spent many productive hours on your website! I get Error: Websocket connection to MQTT failed. I saw some suggestion for me to change the .conf file on my MQTT Broker(R-Pi), But after doing that I can Successfully connect to the broker but my publisher (Arduino Over ESP8266) can’t Connect to the Broker. What you have probably done is change the default port to the websockets port and that is why the old 1883 port isn’t working. Firefox can’t establish a connection to the server at ws://192.168.111.56:1883/mqtt. 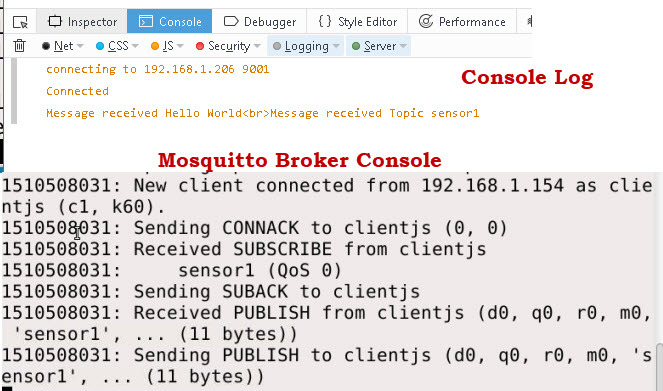 I am using MQTT.fx to subscribe and it wont connect to test.mosquitto.org port 8080 or 1883 and it wont connect BUT the html page connect just fine. Just tried test.mosquitto.org and it works fine. Try using the chrome extension mqttbox. Not sure about accessing with firefox the way you tried it doesn’t work for me but I didn’t expect it to. Also the port is incorrect it should be 9001. Did you download the scripts and try those? I’d appreciate to have a direct link to the source, not having to go to another site that is poorly organized. i’ve followed your tutorial and implemented it in IOT service provided by SAP Cloud. I created two js files “publisher.js” and “subscriber.js”. The message published by publisher on the “iot/data” is sent to cloud, and i can see the message over there. The message published by the cloud’s PUSH API is received in my subscriber on the topic “iot/push”. My goal is to publish from my publisher and subscribe from my subscriber. Not sure what you mean as you seem to have already done it. In my publisher i’m publishing on topic “iot/data”. I’m unable to publish and subscribe to the same topic and there is no option to create a custom topic in SAP IOT cloud. Can you give me more details on SAP IOT. I assume that what you receive is not the same data as you publish is that correct. We are getting below error in some browsers(chrome or mozilla) when we connect mqtt using web sockets. When we clear browser history then connected. So please look into this. What is your broker setup? Are you using username/passwords SSL etc. Let me know and show me the client connection options you are using. “WebSocket connection to ‘ws://iot.eclipse.org:443/mqtt’ failed: Connection closed before receiving a handshake response”. The code should be the same as yours but its also pasted here https://pastebin.com/ZhAk6DUF Do you have any idea what the issue could be? it works on 8080 unencrypted the other brokers don’t appear to be currently working. If you want access to a ssl ws broker then I’ll let you try my cloud mqqt one which works email me using the ask steve lin for the details or get yourself a free cloudmqtt account. I cannot find the script for the second part of this tutorial, can somebody tell me were it can be found ? 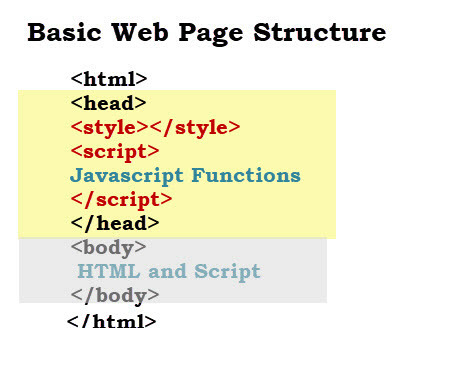 I looked here : http://www.steves-internet-guide.com/downloads/#examples but the websockets example script I download is only the “Main Body” html code. One thing that held me back for few weeks was the self-signed certificate which not consumed by Firefox nor Chrome. To overcome this problem on Firefox, I manually add exception to the Server certificate with the websockets port (ie: 192.168.122.160:8443), and it work flawlessly. Also how to add teleoperation-control functionality to client-side? Looking forward for your insightful pointers. Sorry but can’t help much there as I don’t do much Javacript. Not sure what teleoperation-control functionality is. How can I set up a client to use TLS over websockets? I am very new to websocket and I want to show published message on browser and with the help of this tutorial I can do this. Using this it always subscribe and publish on same page, but I need to only subscribe on the browser and will show the published messages that will take place on command line. Basically what I need that I can see messages on browser that are published from command line. Is there any way to do this? There is no need to publish in the browser. Just use another client to publish on the same topic and it will show up in the browser. The other client can use MQTT over websockets or just MQTT. Could you please confirm that how to get the auto update sensor data ( like real time temperature or humidity or any other real time data ). The data keeps updating which when sensed after subscribing to the topic using websocket. Are you looking for a real time data source that you can subscribe to? Thank you very much for such an informative post. I have ran into a problem, and would apprciate some help. It looked a little complex for me as I’m more into python. I did write a test one for python. It basically lets you use a web frontend to send and receive MQTT messages I will make it availble if you are interested. And yes, it would be great if you could make your Python script available to me. Thanks once again. The browersify program takes a module written for node.js and makes it usable in a browser. However I got it working but it still uses websockets. I will email you the python script. 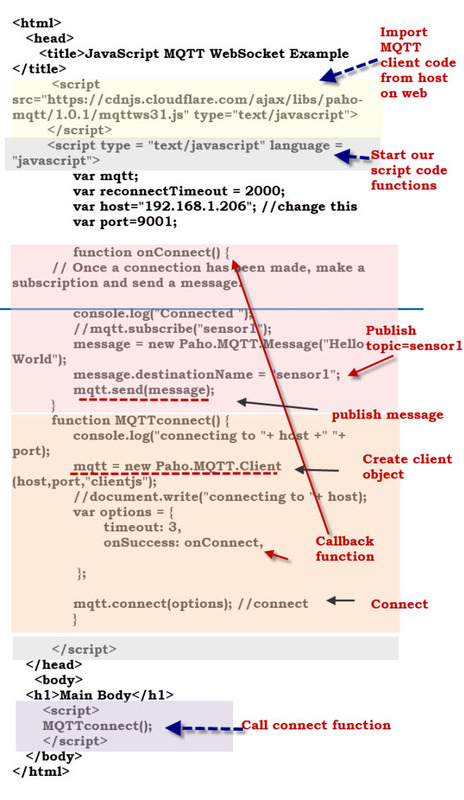 where is the mqtt publish? full documentaion next time. Sorry Not sure what you are looking for can you explain?